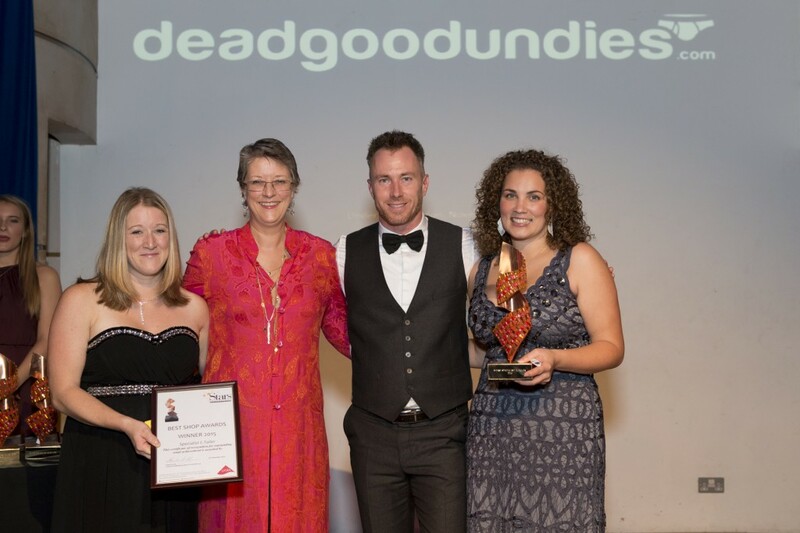 What an evening… Gold underpants, Strictly star James Jordan, nearly 300 lingerie, swimwear and hosiery retailers – and one beautiful trophy – made this year’s Stars Underlines Best Shop Awards at London’s Underglobe extra special for Jane Garner. Underwear expert and fashion journalist Jane was invited to present the e-commerce prize, won by Mish Poynter of www.mish-online.co.uk, at a glittering gala involving nearly 300 of the industry’s best retailers and e-tailers. 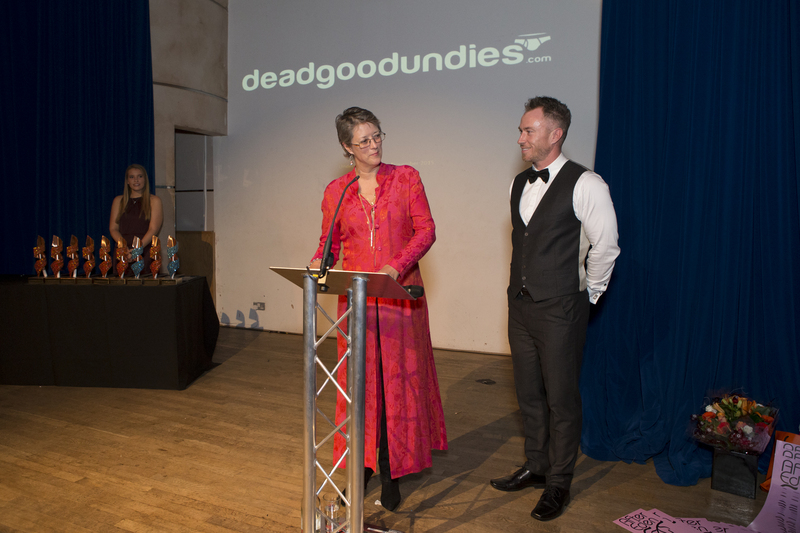 Compère James Jordan, who danced with the stars on Strictly Come Dancing, received his own ‘award’ from Jane, who is also a partner in the men’s underwear and swimwear website www.deadgoodundies.com. “The gold Modus Vivendi Metallic boxer briefs were definitely in keeping with the style of the evening – and James promised he’d try them when he got him, if his wife Ola approved,” Jane laughed.